Who is Jessie Croft? Why has she disappeared from Wiluna? What is the mystery behind the mesmerising eyes? 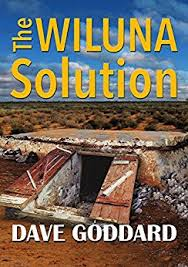 In seeking answers, Kalgoorlie Detective Superintendent Greg Johnson finds himself in Wiluna in the 1930s, which threatens his way of life and the lives of his three daughters and grandchildren. He learns a great deal about Wiluna: its significance as a gold-mining and cattle centre, as the railhead for the Canning Stock Route, and as a site for competing Aboriginal and European histories And he comes to understand that love, and caring for people and justice, can transcend extraordinary boundaries.